Retailers around the globe will be preparing for the start of their busiest shopping period, kicking off on Black Friday, which this year falls on 23 November 2018. A day synonymous with huge queues, retailers will be using this time to assess their plan to manage queuing over Black Friday. The day after Thanksgiving in the US, Black Friday is widely regarded as the busiest shopping day of the year. The term is thought to have originated in Philadelphia in the 1960s, as the police department coined the name to describe traffic jams and crowding in downtown stores on the day after Thanksgiving. Fast-forward to 2018 and the ‘Black Friday queue’ will still be present in stores across the globe this November. Data has shown that the average customer is expected to spend over $1000 on holiday purchases, including gifts, food and other goods. Originally a one-day event, the popularity of Black Friday has influenced retailers to stretch their promotional period across the entirety of the Thanksgiving weekend. Black Friday weekend, including Cyber Monday, is no longer restricted to in-store purchases and is now an online event too, with many e-commerce sites hoping to cash in on the occasion. Although shoppers are able to browse at their own time and convenience, it isn’t without controversy. There have been reports of websites reaching full capacity and customers never reaching the top of the ‘online queue’, hence not being able to make a purchase. 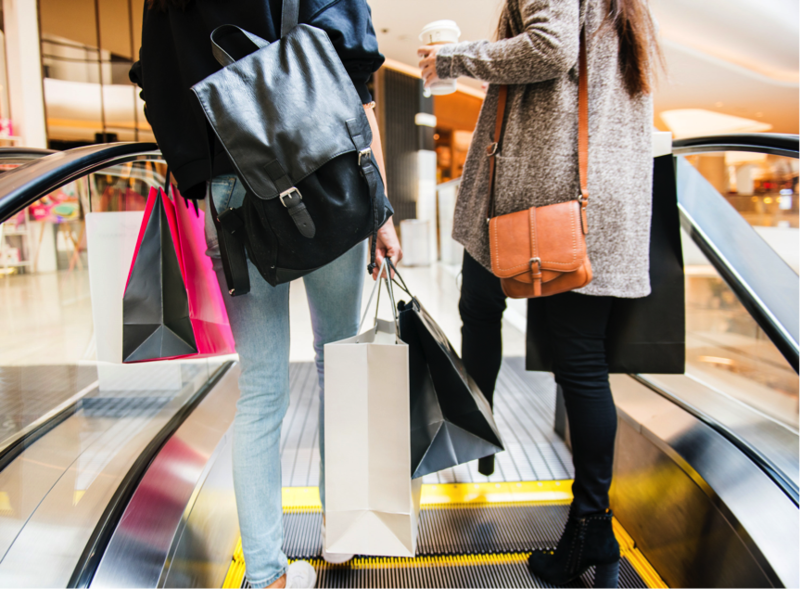 With this added influx of customers, all frantically searching for a bargain, retailers must prepare their stores to be able to accommodate the additional traffic and ensure that the customer journey remains as seamless as possible. During the busy shopping hours, especially throughout the whole of opening hours on Black Friday, it’s crucial to ensure that health and safety in the workplace is not compromised. All stores will have a maximum capacity of people that they can hold at any given time. is an important consideration for retailers during peak times. Our access control solutions have been designed to provide an effective solution to customer guidance and crowd control requirements. Our access gates can be placed at entrances to halt shoppers from entering a store if maximum capacity has been reached. Putting in measures to ensure that Black Friday queues are efficiently managed can make or break the success of the promotional weekend. If robust queue management solutions aren’t in place, it can lead to disgruntled customers, breaches in health and safety and ultimately lower revenues. To organise queues both in and outside the store, queuing systems such as the are a great option. As a portable safety barrier, the Tensabarrier can be brought out and taken away during peaks and troughs of customer demand. Although many customers will be expecting large queues on Black Friday weekend, there are still ways to ensure a good Black Friday experience for all. Queue management systems such as can distract shoppers in the queue, making the wait time feel shorter. An added bonus of IQM is that it’s proven to be a great generator of additional profits – with research showing that it can boost impulse sales by up to 400%. If you’d like more information on how our solutions can ensure a happy and safe Black Friday for all, why not take a look at our retail solutions guide? To download, please click below.